Large Selection of Materials in excellent condition available. Community donations of quality books and volunteers who process and shelve make the sale book room and library a success! ​Drop off donations at the front desk or Outside Drop Box. Hardback books must have dust jackets. Movies, Audio Books, CDs accepted. No outdated books, text books, legal books, encyclopedias, or Reader's Digest condensed books will be accepted. A receipt provided upon request. 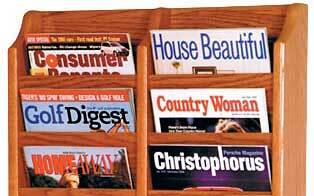 Bring your current magazines to exchange - all magazines are free for the taking.